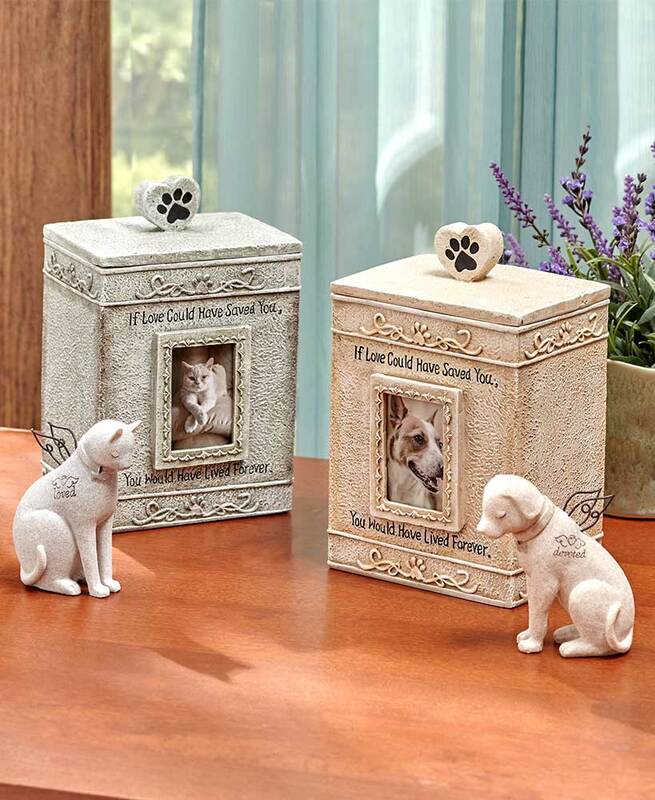 Keep your dearly departed companion forever in your heart with this Faithful Pet Memorial Urn. 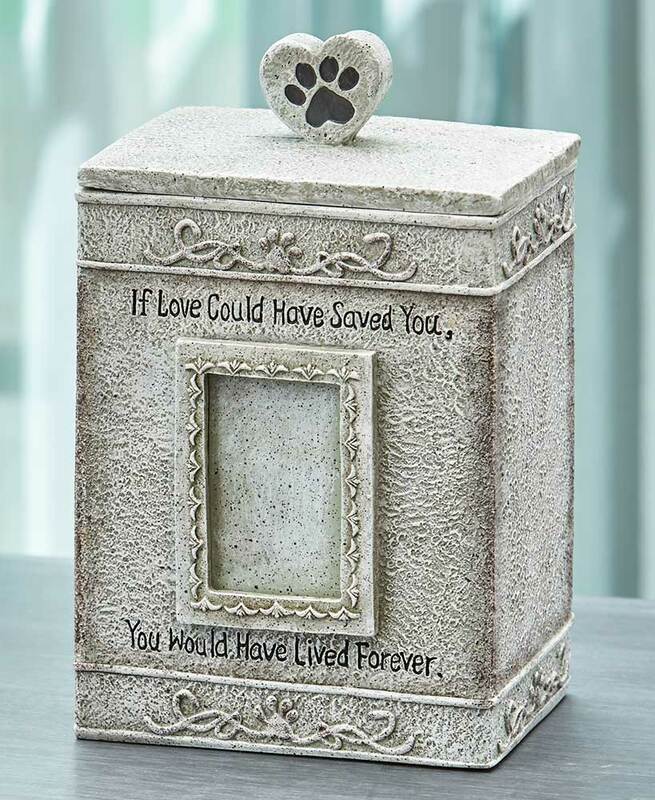 The Sentimental Urn (5-3/4"W x 4-1/4"D x 8-3/4"H) features a photo slot surrounded by the phrase, "If love could have saved you, you would have lived forever." 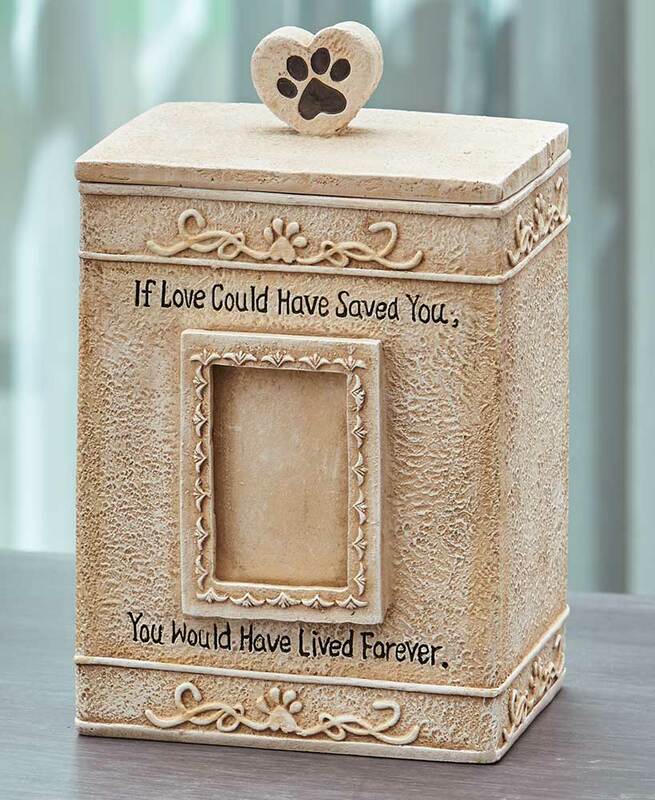 A handle on top is shaped like a heart and is imprinted with a paw print. Fits a 3" x 2" picture.